Sitting here in the midst of Paris Fashion Week. It’s always so interesting to see the trends come forward. Plus nuances between the two cities Milan and Paris when it comes to fashion. 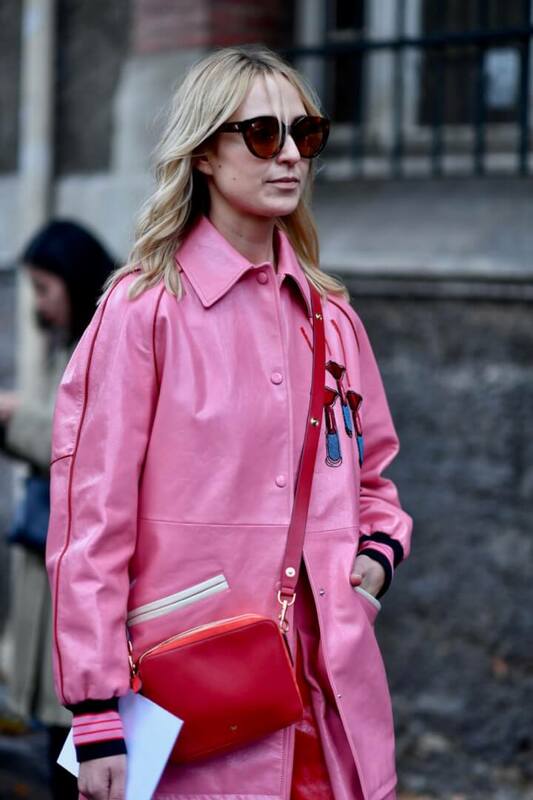 Parisians are screaming colour blocking. So far various shades of pink out-surfaced red, but red was hot on the runways. The story of this seasons outfit starts with the coat jacket…you’ll see what I mean further down. Have a look at 20 Street Style looks directly from Paris Fashion Week. Valentino was the first street style show for me in Paris. Loving the detail on this coat! Note the interesting shade of pink, featuring large in Paris. Pink and red the perfect combination. This seasons suit taking on new dimensions. 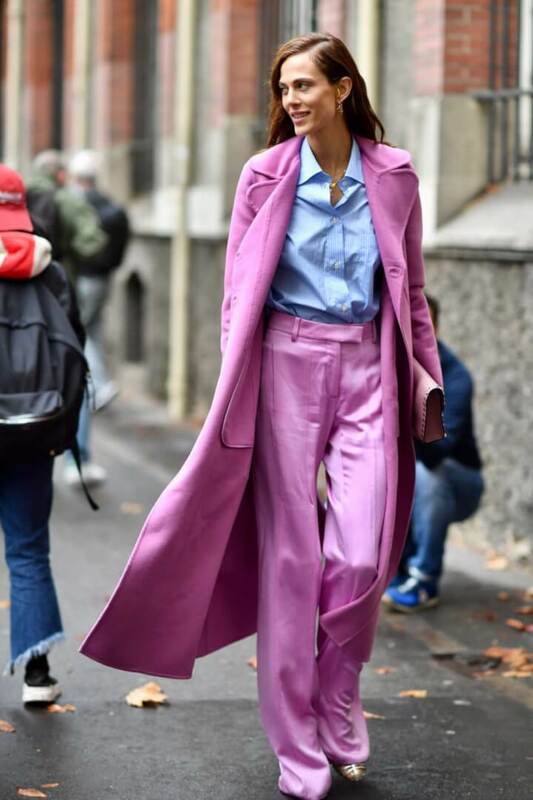 You might not wear this colour but the concept of long coat over tailored trousers is one to seriously bear in mind! Have You got your statement knit ready for this season? 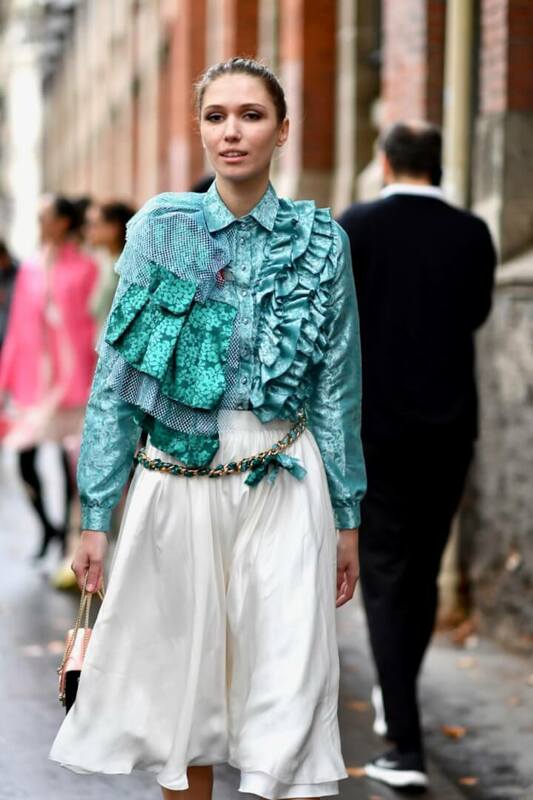 Frill details are a necessary evil this coming Fall – smile! Trousers are getting longer – well at least the wide legged look is! if you’re going for all black a white bag is essential. Love spotting a favourite Caroline Dechamby bag walking through Paris! The coat makes a fab statement of it’s own but those loafers are simply the best add-on! 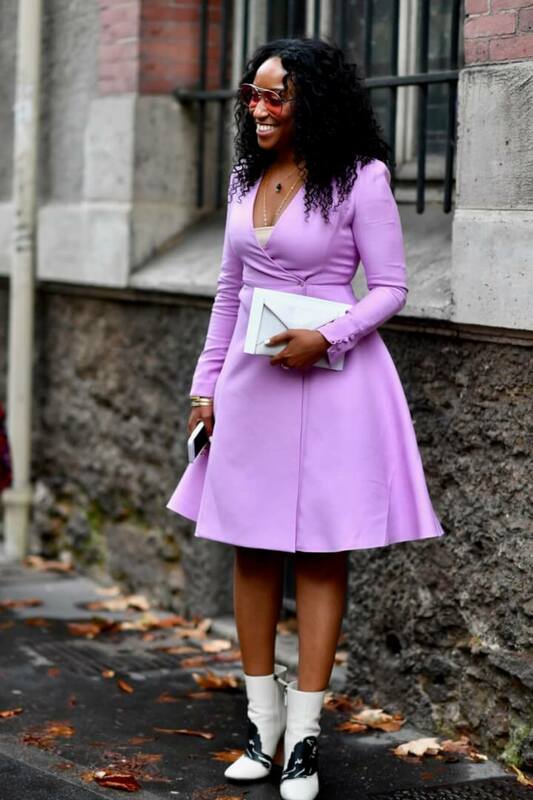 Loving the simplicity of colour yet hidden details to this dress! Making me want to run out and buy a yellow coat. At the very least it’s time to let my yellow jacket see the light of day again…How about you? Such a fabulous shade of yellow! Wow, this has got to be the most awesome statement coat! This seasons statement bag by Dior. It’s the one bag that could win against Gucci if it weren’t for the difference in price points. Lots of Love from Paris! You are too funny sweetie 😉 Lets see what the rest of Paris Fashion week brings. The styles and colours etc brilliant ! I agree totally with you Susan – always love looking at the pictures afterwards and analysing trends from them. 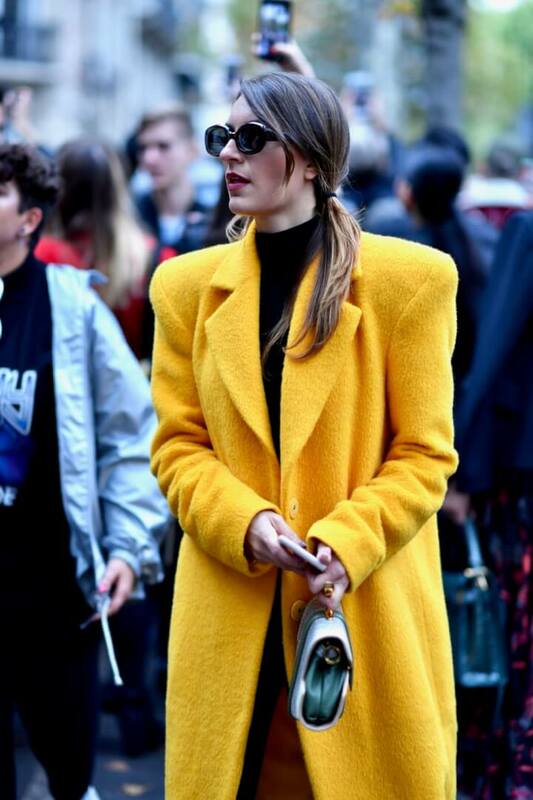 I love the yellow and green coats, they really make a statement! I agree with you totally Emma! Loving the yellow…and red…and green..
And the coats!! It feels almost like being there! Thanks for the front-row look! Gosh, how incredible to see all of this!! I love all the pink shades! It is gorgeous! Thanks for linking up to top of the world style. I like the fur statement coat. Perfect for Alaska. I am not so into that Dior bag. It’s a recipe for cold fingers out here in Ak. Wow! I absolutely love all of the outfits that you’ve selected. These street looks are perfect for fall. They are so feminine and chic. There’s nothing like Paris Fashion week!